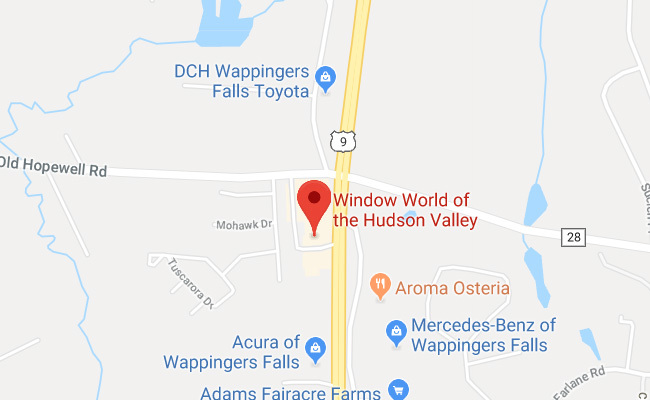 Window World of the Hudson Valley is a locally owned and operated franchise, proudly providing exceptional value, expertise, and service from our Wappingers Falls location . We offer free, no-pressure in-home consultations in Dutchess, Orange, Putnam, Sullivan, and Ulster. Since our start in 2019, Window World of the Hudson Valley has grown to be one of the largest home improvement resources in the region. This Window World® Franchise is independently owned and operated by Southern NY Windows, Inc d/b/a Window World of the Hudson Valley under license from Window World, Inc.